Low cost German Personal Navigation Device (PND) vendor Baros Gmbh – better known under the a-rival brand – is targeting the rebirth of Blaupunkt’s “TravelPilot“ brand in the PND market in Germany. 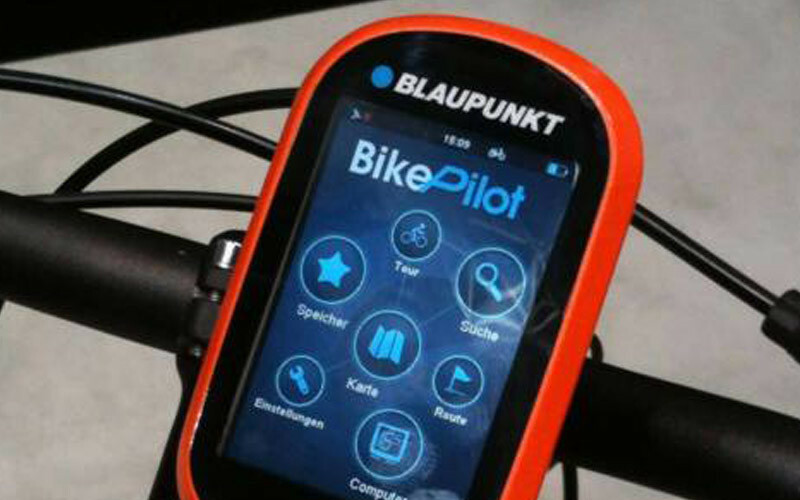 Presented at the IFA trade show in Berlin, were a full range of Blaupunkt PNDs for car navigation as well as dedicated devices for motorbike and cycle /outdoor navigation: Blaupunkt BikePilot and Blaupunkt MotoPilot. Both bike/moto devices devices use a SiRF Atlas V Dual core processor, feature a 3.2-ich screen size and are waterproof (IPX5 for the BikePilot and IPX 7 for the MotoPilot). The in-car and motorbike GPS navigation software is coming from Germany-based navigation editor Infoware and the map data from TomTom. Budapest-based GPS Tuner is providing the software for the cycling product embedding the Open Street Bicycle Maps (OpenStreetMap data). Blaupunkt last foray in the PND market was at IFA in 2008 when the company launched an ambitious line up of high end devices the TravelPilot 500 and 700 (read here) with augmented reality, Digital TV, Wi-Fi, etc. that unfortunately did not find their market. This time Baros GmbH is targeting the lower end of the market; the future will tell if this strategy works better.